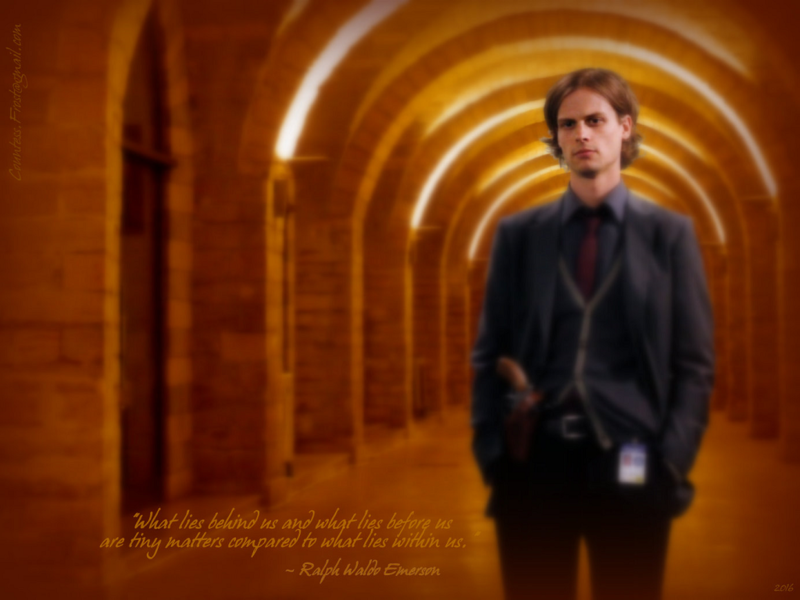 What lies.... "What lies..." - a 'Criminal Minds' achtergrond created door TheCountess which features Dr. Spencer Reid (Matthew Gray Gubler) and a quote door Ralph Waldo Emerson. 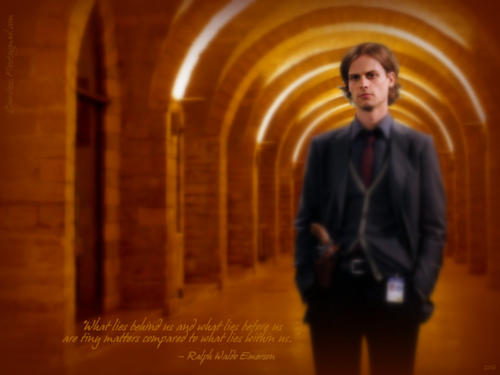 HD Wallpaper and background images in the Criminal Minds club tagged: photo criminal minds tv show dr. spencer reid reid matthew gray gubler ralph waldo emerson quote bau fan art wallpaper thecountess. This Criminal Minds wallpaper contains goed gekleed persoon, pak, broek pak, broekpak, kostuum broek, and pak. There might also be straat, stad scène, stedelijke omgeving, stad straatbeeld, stedelijke instellen, portcullis, bovenkleding, and overclothes.